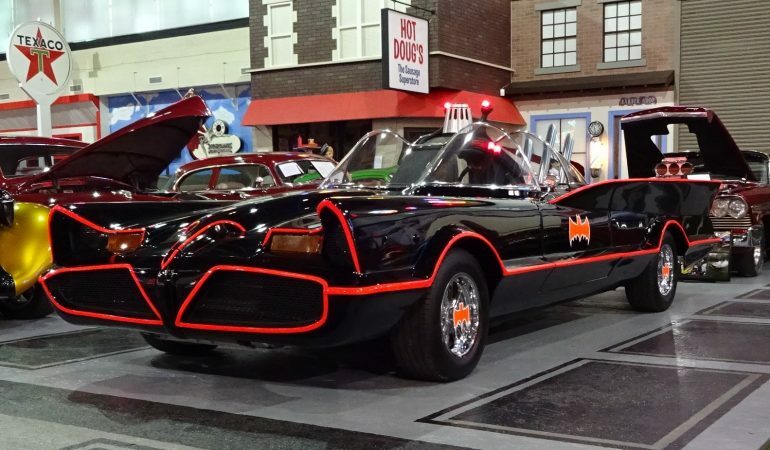 When it comes to Hollywood custom cars, it is impossible not to include George Barris from the list and whenever we are talking about him, it is also impossible not to associate him in one of his famous creations, the batmobile. In this video, Lou Costabile will give us a quick tour at Klairmont Kollections in Chicago, Illinois to take a closer look to one of the authentic 1966 Batmobile Replica. This seamless replica of Batmobile is equipped with all the Batmobile features as seen on the tv series and this is more than just a display because this replica is fully functional. Interestingly, we will be able to see this car working in action. Listen on how the Batmobile starts up and the sound it makes coming from its 460ci Big Block engine that can generate up to 500HP!